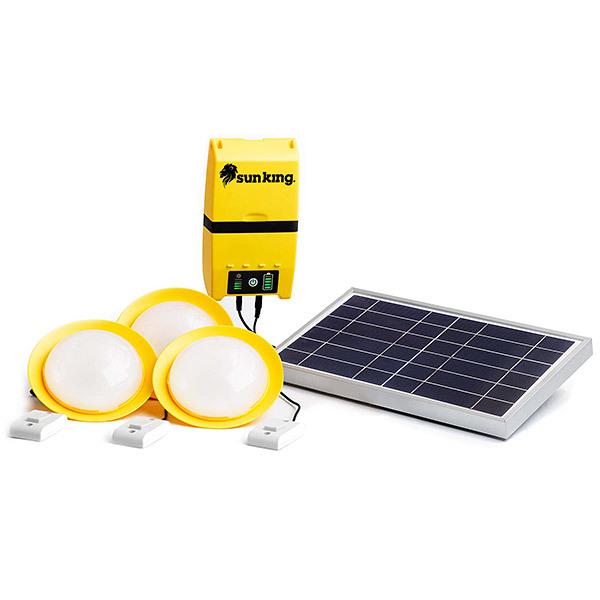 A solar power pack provides a comfortable level of illumination in one or more rooms of a house. 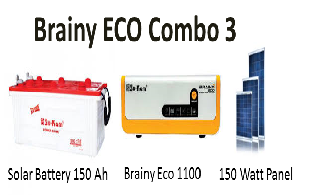 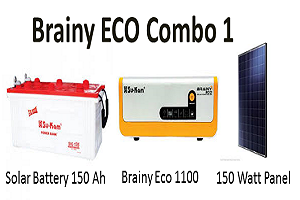 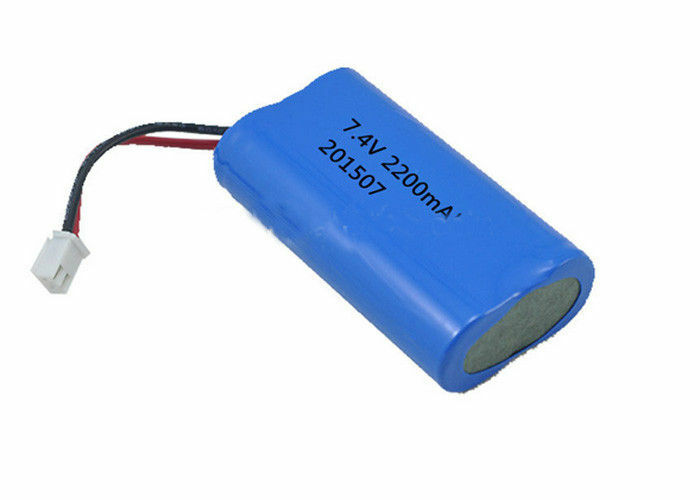 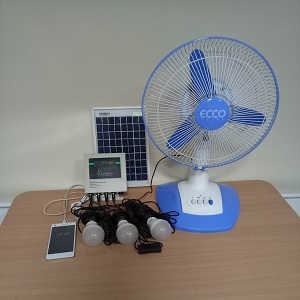 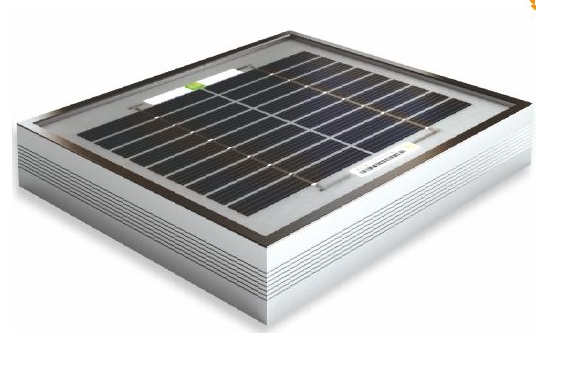 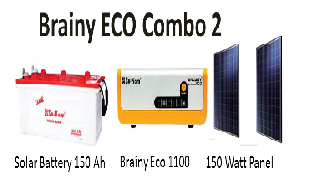 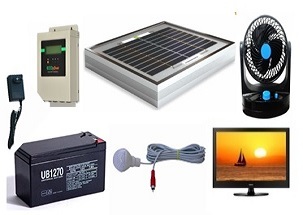 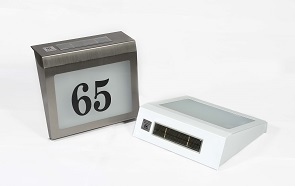 The SPP consists of a PV module, charge controller unit, battery, DC fan, LED DC bulb. 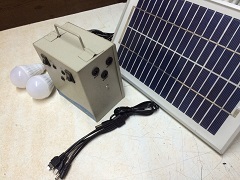 These are several solar power pack models featuring one, two or three luminaries based on White LED Emitting Diode(W-LED). 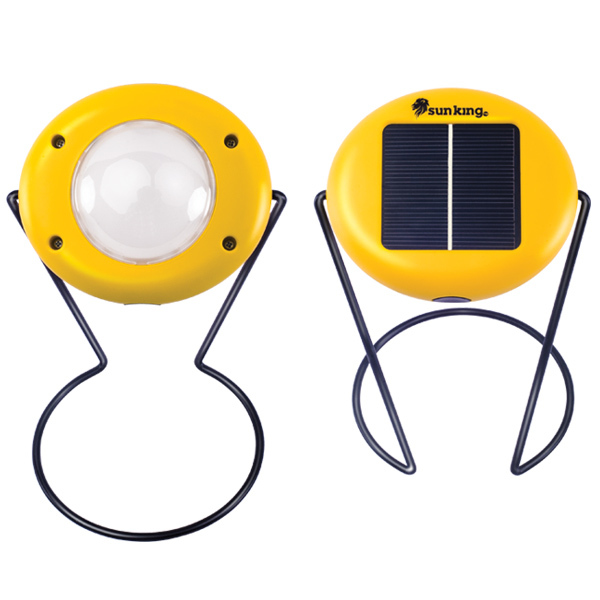 A multipurpose solar light based on LM technology. 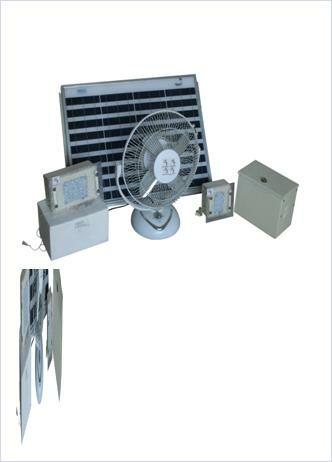 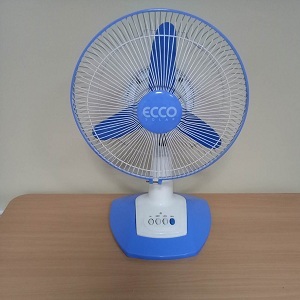 Multipurpose-Portable with LED bulb, portable with DC 12 volt fan. 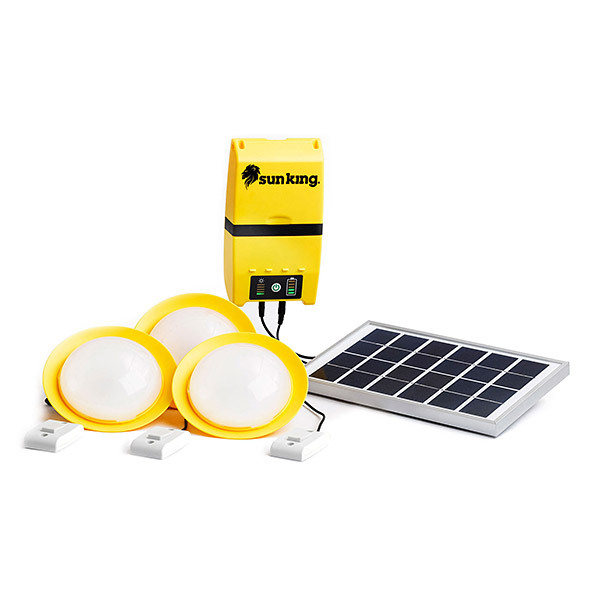 Lighting quality- Free from glare & flickering. 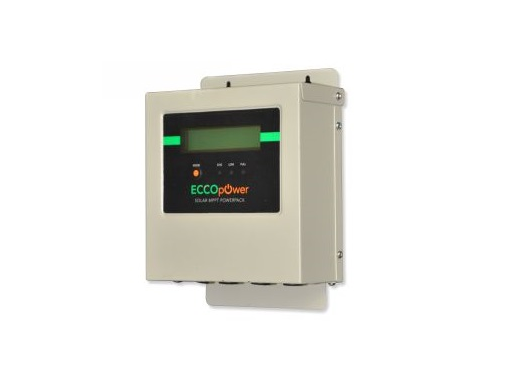 Auto resettable reverse polarity protection shall be provided.